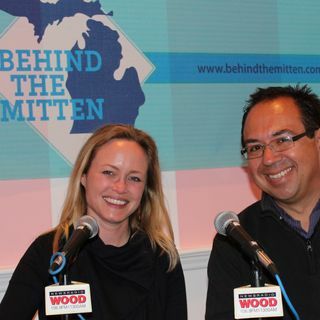 John Gonzalez and Amy Sherman spend some time in the Metro Detroit area. This show originally aired Oct. 28-29, 2017. Segment 3 (Listen at 19:45): John ... Maggiori informazioni and Amy stop at Jolly Pumpkin and talk about the MLive search for Michigan's Best Italian Restaurant. Segment 4 (Listen at 29:40): Beer of the Week time from Jolly Pumpkin. And events around the state.